Recent research has found that onion extracts may help reduce the risk of blood pressure, perhaps also diabetes and weight gain. While we need to be more certain of these benefits, there's absolutely no harm in continuing to use onions in our daily meals. Many health claims on onions have been made earlier. Some of them state that onions help to combat heart disease because of their anti-cholesterol effect. Some say they fight cancer because of the antioxidant quercetin, and others mention they have anti-inflammatory properties and help fight common cold. In India, some groups of people avoid onions believing it to be an aphrodisiac. But on the other hand some even use it in home-remedies (an onion-jaggery combination is often used for sore throat). 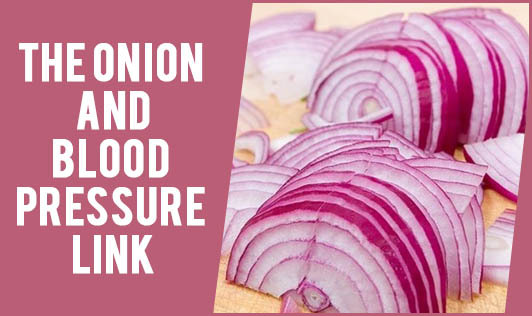 However, there are definitely some benefits one can obtain from eating onions regularly even though onions themselves cannot fight all the ailments mentioned here. So, eat onions (raw or cooked) and enjoy the flavor they bring to various dishes.